Vancouver Weather, Make Up Your Mind! 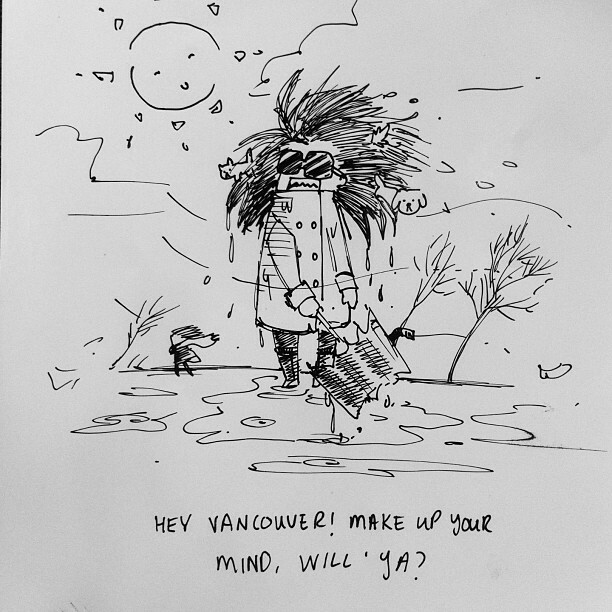 Local graphics designer/photographer and Vancouver, we love you supporter Carmen doodled this up as an ode to Vancouver weather. We felt it was quite appropriate for today…. and, well, many other days in our fine city.